Using the same high-end drivers as those in the Series 2, the wireless headphones deliver punchy bass and clear mid and treble notes. The ear cups fit snugly enough to provide plenty of noise isolation without any leakage. 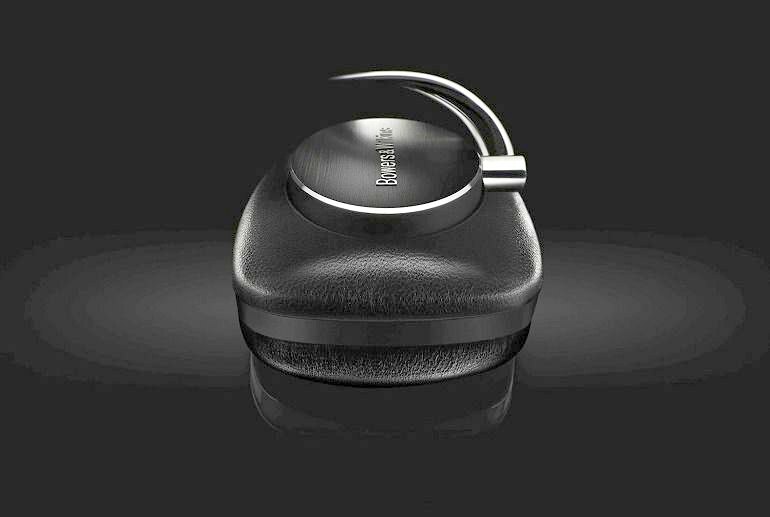 The Bluetooth headphones add only 28 grams of weight. You might be able to get a sound you like better at a lower price. Many smartphones, including the iPhone, do not support aptX connectivity and cannot benefit from its improved codec. You might find the wireless controls on the right ear cup somewhat clunky to manage. 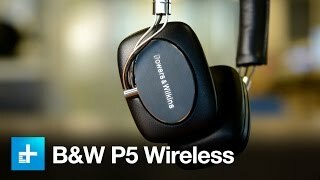 Bowers & Wilkins P5 Wireless on-ear headphones look almost identical to the visually swanky P5 Series 2, while giving you top-notch audio quality rivaling that of the wired version. Unlike the Series 2, the Bluetooth headphones provide three buttons and a switch on the right ear cup for controlling wireless functions. Also in contrast to their wired counterpart, they come with a single cable that lacks a mic and a remote. For the highest quality Bluetooth streaming available, the B&W wireless set supports aptX. Battery life is an impressive 17 hours. There are two microphones and a lithium battery. Crucially there’s Bluetooth of the higher-quality aptX variety. The headphones are a joy to operate. They also weigh just 213g, avoiding feeling like a head clamp that'll weigh your neck down.The soft leather and aluminium build helps significantly on the weight front and the P5 Wireless are extremely comfortable, especially so without a cable to tie you to anything. 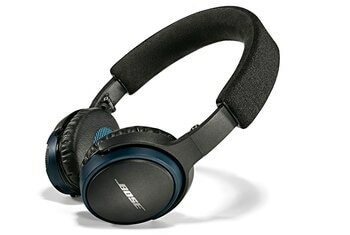 There's no active noise cancellation (ANC) on board, so they aren't ideal for flights or travel situations where you expect a lot of outside noise – as we discovered when nipping to Barcelona recently – but that's standard for on-ear headphones without ANC. 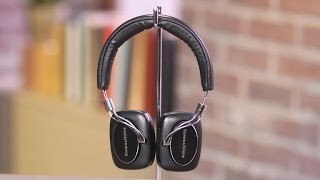 There's no shortage of Bluetooth headphones at the $400 price point, but the Bowers & Wilkins P5 Wireless may very well sit at the very top of this populous mountain. 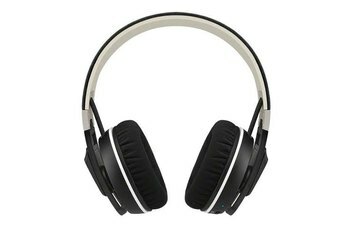 At $399.99, the on-ear headphones are a significant investment, to say the least. But too often, we test headphones in this high price tier that try to justify their cost by throwing in a multitude of extra features. The P5 Wireless earns its price in two ways: It's an exquisitely, thoughtfully designed product, and it delivers some of the best wireless audio we've heard. The P5’s firm-but-reasonable clamping force made for surprisingly excellent isolation — the elevated subway cars of Queens were all but silenced when we tested these out in the world. We experienced some discomfort when wearing metal-framed eyeglasses with the P5, but your mileage may vary. 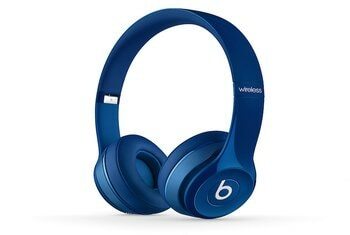 Wirelessly transferring music over Bluetooth requires that files undergo digital compression; a process that ultimately diminishes audio quality. B&W combats this degradation by supporting the aptX codec, which uses a patented compression methodology to “deliver CD-like audio over a Bluetooth connection”. A smartphone has to support aptX in order to get the best performance from the P5 Wireless. The earpads are secured with magnets and can easily be popped off, which you’ll need to do if you want to connect the included 3.5mm wired cable. 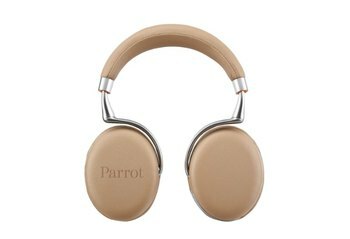 This lets you carry on listening even when the built-in battery has run out of juice, or connect the headphones to wired devices that lack Bluetooth. 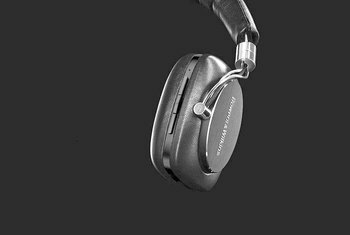 The only design element to jar with the Bowers & Wilkins P5 Wireless’s overall feel of luxury are the buttons that control the wireless functions. The right cup is home to three buttons and a switch, which are all made of plastic. The action is a little odd, too, requiring a pretty concerted press before anything actually happens. Cut the cables on the regular P5 (actually, please don’t) and you’ll basically have the P5 Wireless. 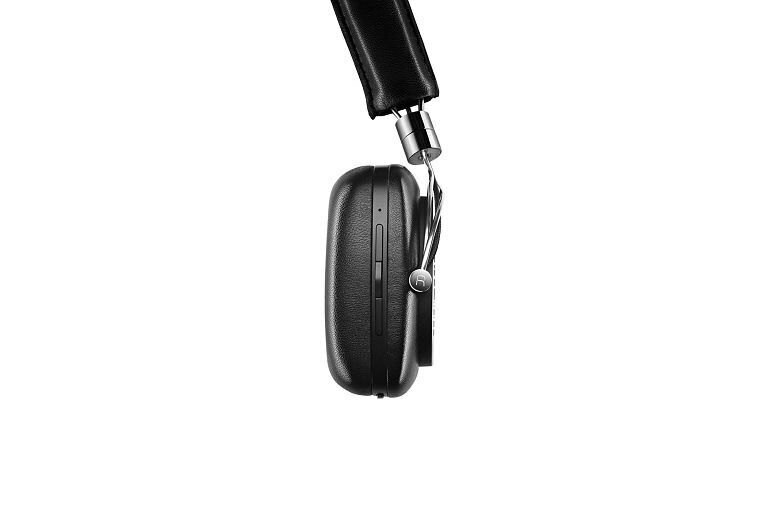 The headphones prudently stay true to their roots in design, brandishing curls of sterling aluminum along the earpieces, matched by ample padding cloaked in supple strips of rich leather. The earpieces extend from a light and malleable headband in smooth, fluid movements for a secure fit, and the only visual wireless attributes include a control strip on the right ear piece and a small power switch below with matching LED. 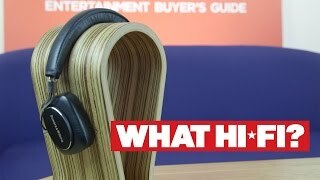 Audioophiles tend to prefer listening to music through wired headphones, but that hasn't stopped certain venerable audio companies, including Bowers & Wilkins, from jumping on the wireless bandwagon and introducing a Bluetooth headphone. The company's newest, the P5 Wireless, is for all intents and purposes a dead ringer for the P5 Series 2 but at $400 (£330 in the UK and AU$599 in Australia), it costs $130 more. I love the depth and clarity of the audio, and the aptX connectivity means I can get the most out of the wireless connection too. On the go though I all too often find that great experience muddied by audio drop outs. When it comes to connecting via Bluetooth, which let's face it ranges from mildly inconvenient to downright frustrating, the P5 Wireless headphones definitely sit on the more pain free end of the scale. Holding down the power button for two seconds sees the tiny LED alongside flash blue to indicate that they are discoverable. We had very little trouble finding them with laptops and both iOS and Android phones. The volume, track, play-pause, power, and pairing controls hide in places that are easy to reach, and function exactly as they should when you want to use them. There’s no need to jab towards your skull to press a button, or rub a secret touch surface like you’re scratching your earphones. B&W’s button design is as elegant as the rest of P5 Wireless.